A brainstorming session at the port led to questions about the work-at-home environment in Ridgefield. Who is working from home? What do they do? What do people love about working from Ridgefield, and what are their challenges? For answers, we put it out on our social media feeds. What follows are interviews with a few of the people who responded. Alex Johnson works from his home in Heron Ridge as a virtual employee of a California-based company. His cat, Mochi, keeps him company while he’s working. From Ridgefield’s Heron Ridge neighborhood, Alex Johnson works for a healthcare consulting firm based in Southern California. The company has no physical location, so Johnson works from home, as do all of the firm’s employees. With five years of work-at-home experience, he finds it suits him in all ways, with one exception. “The lack of social interaction is a challenge. I’m very happy when Friday evening rolls around and I can go out to a pub and meet up with people,” Johnson said. 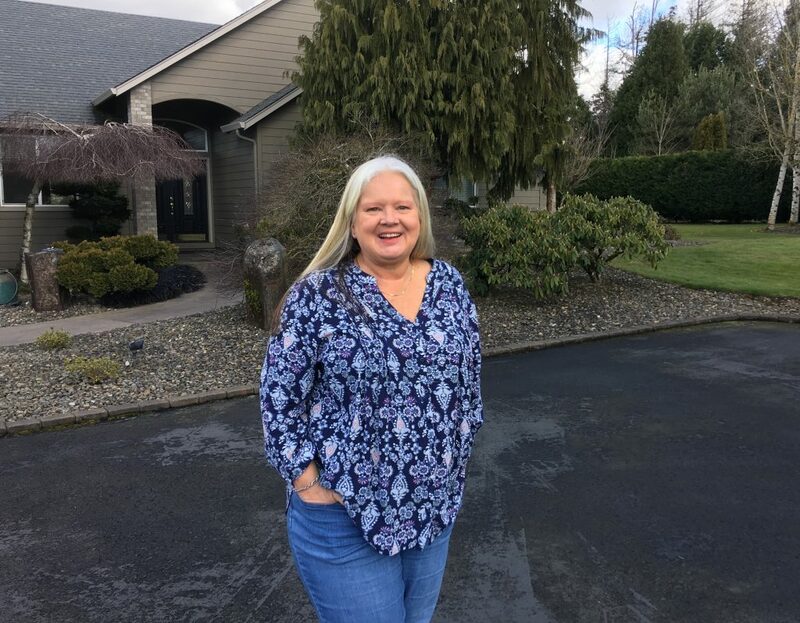 “So, it would be nice if there were more restaurants and public gathering areas in Ridgefield.” Johnson and his wife purchased their home in Ridgefield about four years ago, prompted by his wife’s job in Kalama. Choosing Ridgefield made sense to them, as it is about half-way between Kalama and downtown Portland, where they avail themselves of restaurants and entertainment activities. The couple kayak, too, so Ridgefield’s Lake River is a plus. Grant Garlish is an account manager for large health care and education clients. 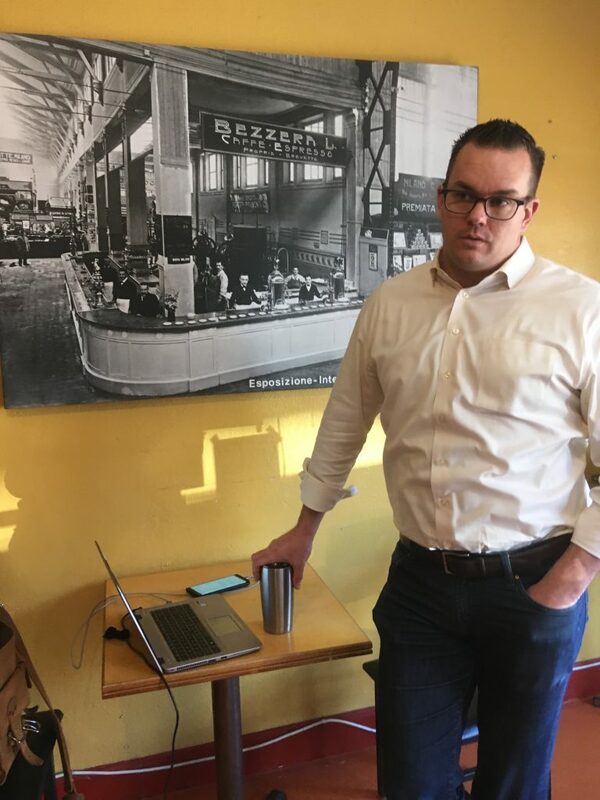 He works from his home or in nearby café such as Seasons Coffee Shop in the Old Liberty Theater. Grant Garlisch has spent the last 15 years living and working from his Ridgefield home in a variety of technologyrelated roles. 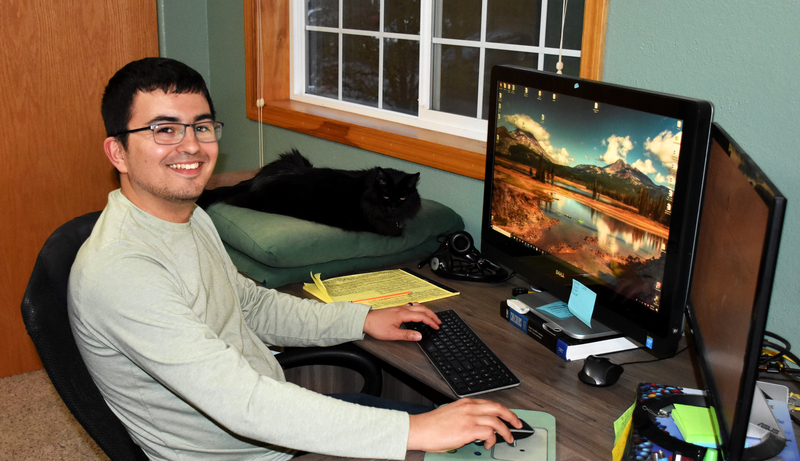 In his current job, he feels Ridgefield is the perfect location from which to work from home. Garlisch is an account manager for Aruba Networks, a Hewlett Packard Enterprise company, managing the technology needs of 25 large, Oregon-based clients in the higher education or healthcare business. Garlisch shares his present home near Tri-Mountain Golf course with his wife and children. A Vancouver native, he has long preferred Ridgefield as a base from which to work, with proximity to what matters to him and his family as the leading factor. In addition to the location advantages, Garlisch also prefers living and working in Washington because of a lower cost of living, including no income tax and lower property taxes. For Garlisch, living without high-speed internet isn’t life-shattering now, but was problematic in prior work endeavors. Barbara Pratt Blackhurst works from her home in the Duluth neighborhood. She faces a $4,700 bill to gain higher-speed internet and improved phone service. Barbara Pratt Blackhurst moved to Ridgefield from Orchards, Wash., about three years ago. She has mixed emotions about working freelance from home here. Situated on seven acres in the Duluth area, she prizes the beautiful scenery and easy access to I-5, but slow internet speed and faulty phone lines hamper her two existing businesses, and caused her to drop two others. “When people ask me how I work from home, I tell them ‘slowly,’” Blackhurst said. Her work as a traveling notary became impossible in Ridgefield because her phone service and email often don’t work. And in the notary field, time is money. Blackhurst now works as an e-publisher, book cover designer and as a research assistant for a certified art appraiser. Searching the internet to look up art objects is time consuming, Blackhurst said, when download speeds are inadequate. She also has to break documents apart and send them in multiple emails, a process that reduces her productivity. There’s no end in sight to her plight: Blackhurst lives on a private road with only five other households. Her service provider has quoted $4,700 to bring service levels up, and her neighbors aren’t interested in helping with the cost. Slow internet speed here is more painful because Blackhurst enjoyed much faster service in Orchards. Because we’re partial to the Ridgefield and Discovery Corridor lifestyle, we’re pleased but not surprised by the references to the area’s location and livability advantages enjoyed by those we interviewed. Sadly, we’re also not surprised by the irritation expressed over slow internet speeds. This frustration underscores the need for the port’s continued push to build a broadband infrastructure network in the area. For more information about the port’s efforts to build broadband infrastructure in the Discovery Corridor, visit portridgefield.org. Do you have a work-from-home story to share with us? If so, feel free to comment or message us on Facebook or email Ethan Perry at EPerry@portridgefield.org.